Roasted Garlic (No oven needed) | What's Cooking at the Genua's? Well today the hubby and I were cleaning the house as that is now our weekend thing. (Have I mentioned I hate not working from home!) We also usually have a bottle of bubbly as well. Ok maybe two bottles. But today as a ‘snack’ with our bubbly we went with something different. I wanted to roast some garlic to make garlic butter and garlic mayo. Didn’t quite get that far today. I swear I roasted at least 20 heads of garlic (I buy those huge bags in BJ’s). My husband started to eat it right out of the roaster, so I continued. 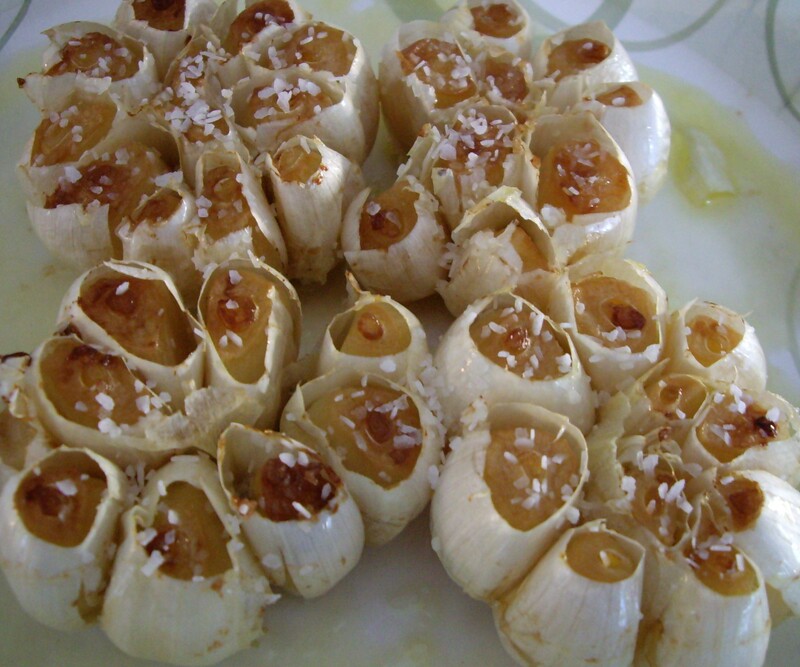 Discovering that eating the garlic this way was extremely addicting. 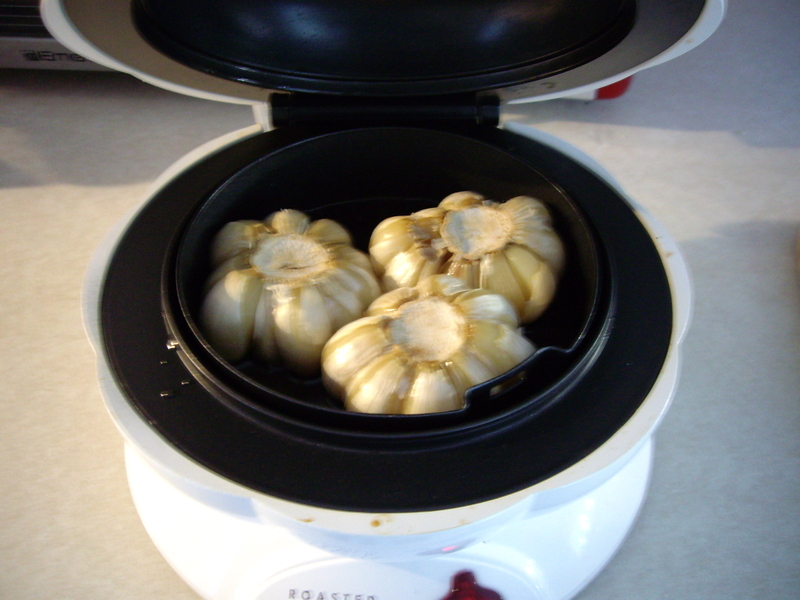 I have one of those electric garlic roasters and use it all the time. Today it got quite a workout. I put a little olive oil and kosher salt in the little pan inside and let it roast. Once it’s done I sprinkle on a little more kosher salt for flavor. Eat it warm. It’s like eating a garlic candy or something. Soooo good. I can’t even tell you all how many we ate so far. Heads of garlic I am talking about remember. Also remember when you roast garlic the flavor mellows quite a bit and it’s like an orgasmic garlic bite of happiness. 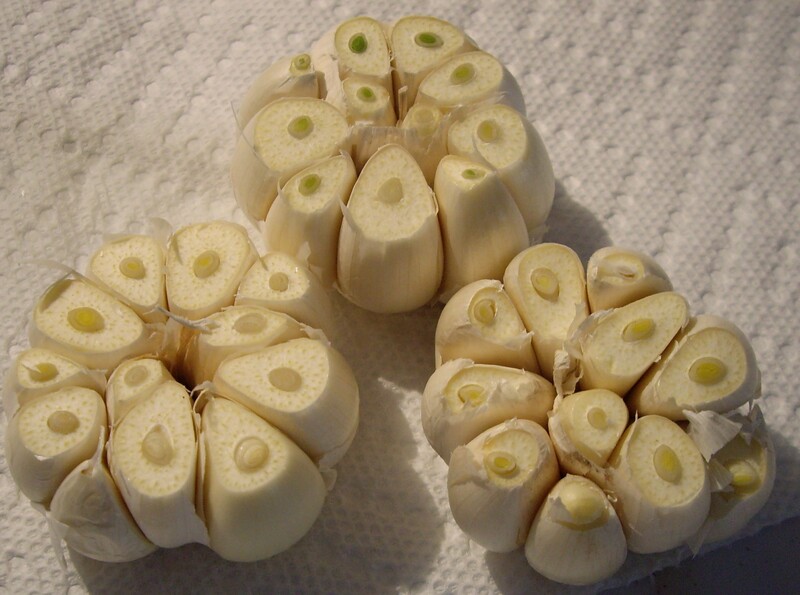 For those of you who don’t like garlic, I feel very sad for you. Try it this way! I won’t post a recipe for it as there really isn’t one. Just garlic, olive oil and kosher salt. 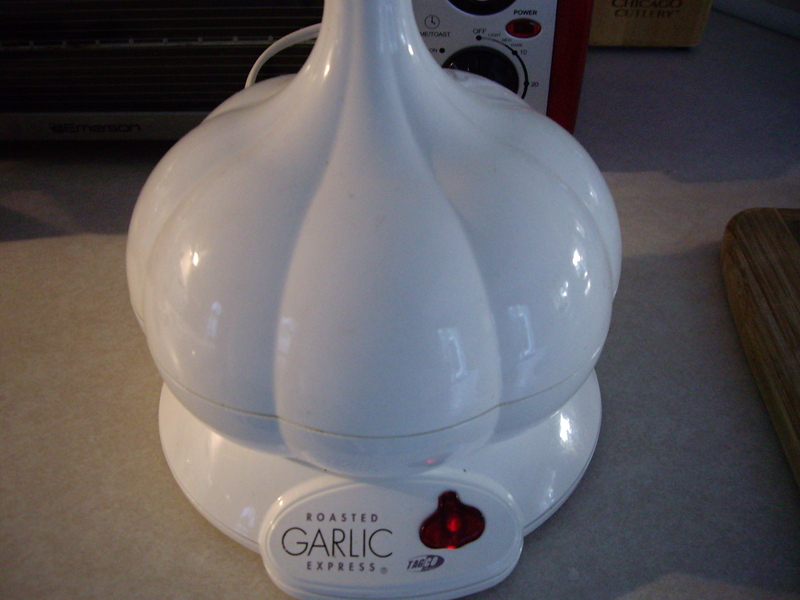 I recommend investing in one of these little gadgets if you like to roast garlic. No oven needed. And it’s way faster! And all the tips I cut off before putting in the roaster, I save for cooking. Why waste it! So try it, you’ll LOVE IT!! And no you will NOT have garlic breath! Honest! And besides, garlic is good for you! We just took a fork and pulled out the little buds of yumminess! I swear you’ll love it! No I should not have opened the lid...All turned out okay though...No worries! That looks so good! What a great gadget to have. And one of the few gadgets I acutally use more than once!